Colonel Janice Johnson, (U.S. Army retired) was the featured speaker at this September 11 event sponsored by American Legion Auxiliary Post #32 at the Farmville, VA, Fire Department. A Longwood University graduate (1982), she served around the globe, but was at the Pentagon on that tragic day and lost two officemates. Four Longwood University students performed the national anthem for the crowd of citizens, police, fire department, and veterans organizations. An unplanned event marked the importance of first responders: the alarm sounded and officers scrambled to get their gear, mount the trucks, and race to where they were needed. I understand from those who attended this ceremony her talk brought tears to their eyes. Her emotional, first hand report of what it felt like to be involved in the horrible events that transpired on 9/11 will always remain with those in the audience. 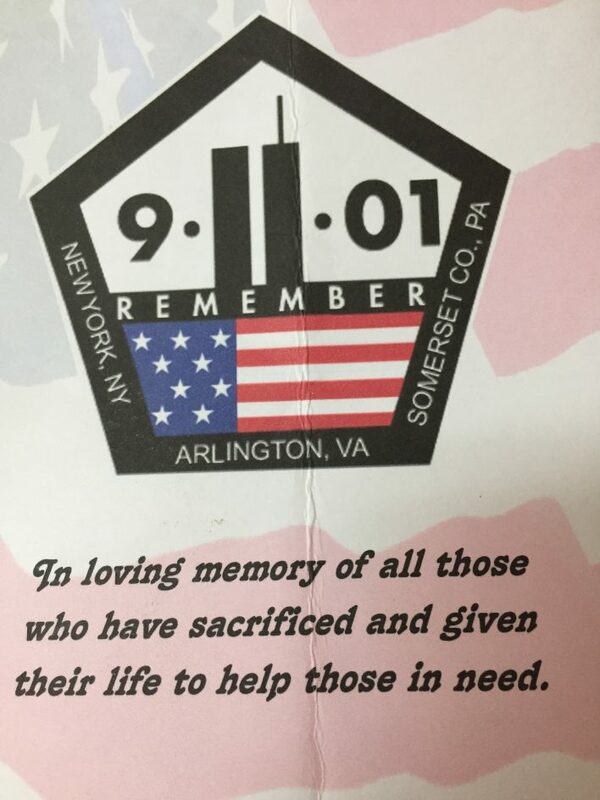 May we never forget what transpired on that day, so that through us future generations will learn of a national pulling together for the good of all. 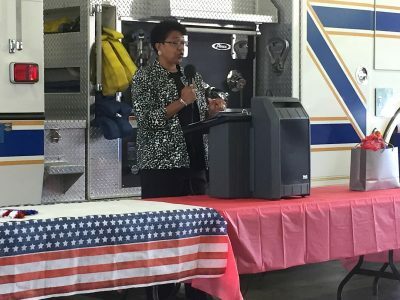 Hopefully in the future more ceremonies such as this one will be held in Farmville as a reminder of those who serve and sacrifice for our safety.